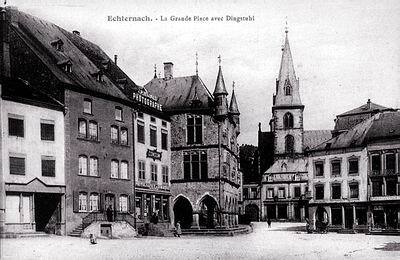 The beautiful cities of the past have been agressed and destroyed, then rebuilt again and again so many times. 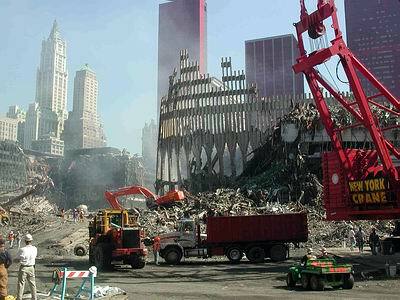 Had there been times where humanity was not confronted to war, illness, corruption, wickedness, barbary and destruction? The 'Golden Ages',-- if there have been some --, they have always been exceptional and short! 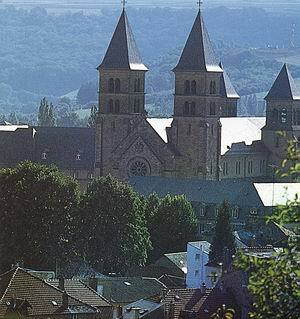 The historical city of Echternach has been blown up in 1945 by the Nazi occupants leaving a heavily destroyed city to the allied troops...The city and the basilica were rebuilt from 1950-1955 in a traditional manner and became the very paradigm of the Post-War reconstruction in Luxembourg. Now why should we expect architecture and city-building to express ugliness and horror, confusion and disorientation, homelessness and alienation? Why should architecture and city-building rather than build a human 'Patria', limit its role to celebrate the conflicts and shortcomings of our time? 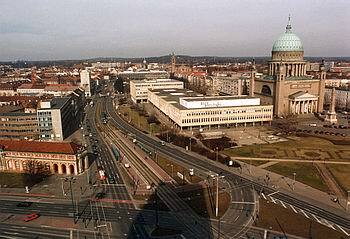 Reducing architecture and urbanism to compulsively mirror the state of society and of contemporary apories is an absurd proposition in itself; there would not have been any memorable, beautiful, inspring building, nor any comfortable and attractive city in the course of mankind's dramatic history! 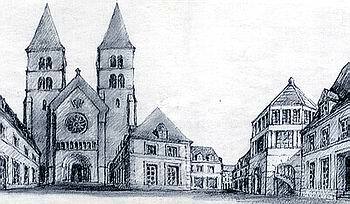 Never would architecture, urbanism and human arts have possibly developed into highly sophisticated and civilized arts! 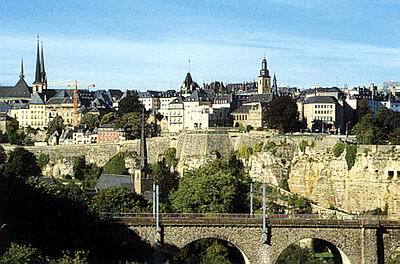 The contemporary view of Luxembourg's "Corniche" documents the admirable reconstruction of the city after its destruction by the troops of Louis XIV. 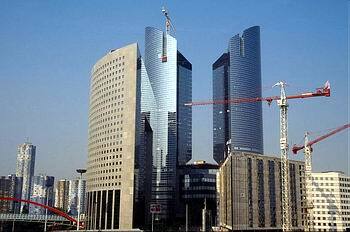 In about five years the city was rebuilt by French architects and Italian and Austrian masons and carpenters. 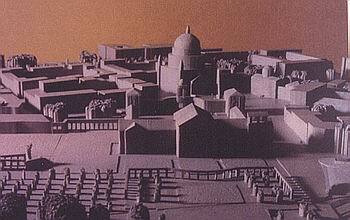 Despite the fact that the reconstruction endeavours were under foreign direction and execution and based on perfectly rationalized typological methodologies, the reconstructed city recovered entirely its identity and urban integrity, becoming more beautiful and comfortable than before, and reconciled with a memory of time and place! 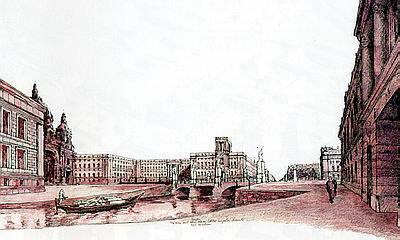 It was rebuilt according the plans and under the supervision of the Marquis of Pombal in he most beautiful and typologically rigorous manner. Destroyed by natural calamities or human ones, the traditional cities have most of the time been rebuilt on the same place and according to the same principles. Through the aspirations of permanence, continuity and identity these cities were built on the ruins, footprints and memories of the old ones. 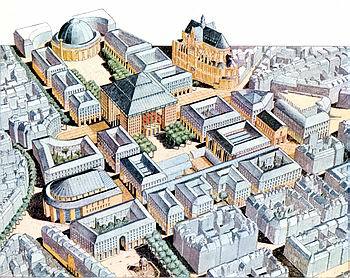 Rather than being archeologically the same ones, these rebuilt cities were improved, embellished and perfected to adjust memory and modernity within the shared pattern of a collective urban culture. "Life is a permanent process of reconstruction. The incapacity to rebuild results into an incapacity of life. Death is nothing else than a definitive interruption of a reconstruction, which, though following a fixed plan and order, nevertheless allowed infinite, and always new and individual variations." 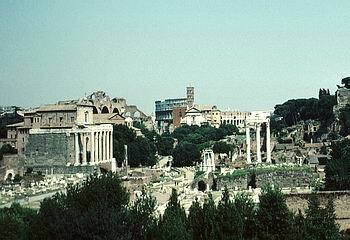 Archeological Heritage from Antique Rome: Archelogy without a Vision, or a Memory without Purpose, or Love of Ruins? 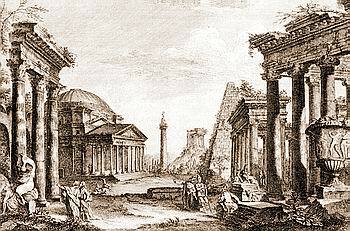 In periods of decadence, the fields of ruins inspire nostalgy of glorious memories irremediately past. 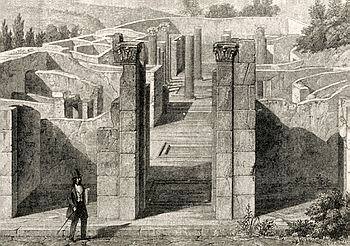 In periods of desolation, even the most glorious ruins will never invoke more than ruins, and the unsignificant fragment of a value will be venerated as the value itself: the part is taken for the whole. These are also periods where the part dictates its laws to the whole. In periods of reconstruction, a field of ruins has no proper value for itself, because it is but one of these uncompleted building-sites asking for an ever more splendid reconstruction. To the mind it inspires the image and this image will guide the construction." 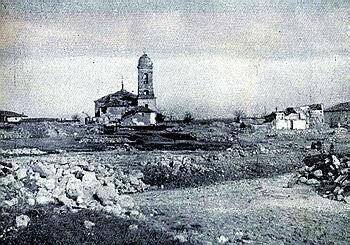 Brunete, like many other cities and towns, was completely destroyed during the Spanish Civil War in July 1937. 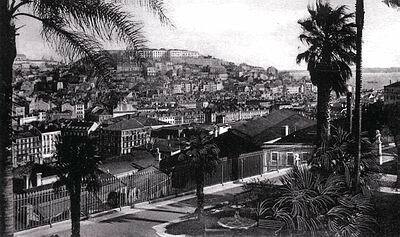 It was rebuilt less than ten years later as a part of the methodic reconstruction policy of the 'Dirección General de Regiones Devastadas' based on typological and morphological principles of the traditional Spanish town. Rather than commemorating by means of soulless monuments, the reconstruction effort aimed at honouring memory by the building of living foundations, traditional towns commemorating life. 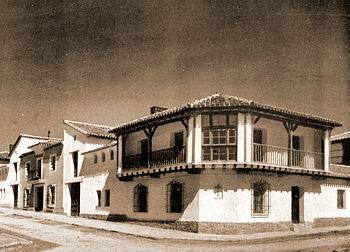 "La Dirección General de Regiones Devastadas, al encargarse de la reconstrucción de esta localidad, quiso resucitar la tradición española, medieval, de conmemorar hechos y rendir homenajes por medio de fundaciones vivas y no levantando monumentos sin alma." 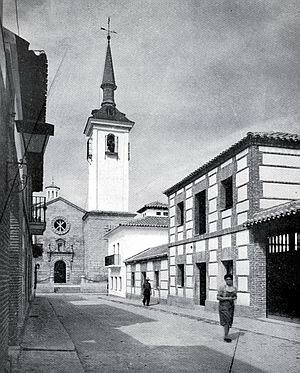 The town consisted of 340 houses, organized in 12 streets and two plazas and had 1526 inhabitants in 1935. 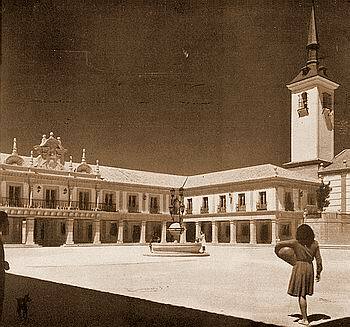 The new town was built on the site of the completely destroyed city, around its unvariable center: the old church creating a perspectival background to the Plaza Mayor. The Plaza Mayor is the veritable civic center of the city with the City-Hall, Post and Telecommunication office, shops and housing, etc. It is porticoed on the ground level and built in local granite stone. 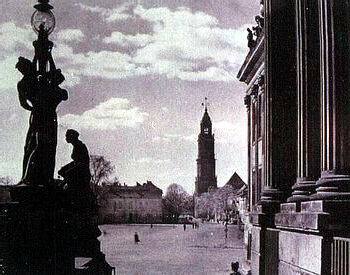 A fountain in granite stone and wrought iron ornament marks the center of the Plaza. Variety in Unity: Urban Block, Housing Typologies and Lot Definitions, Urban Vernacular and Traditional Architectural Pattern Language.